There are certain things that you need to know during pregnancy. This information is best gained from a conversation with your practitioner, doctor or midwife. This information can help you in choosing the right practitioner for you and your pregnancy by providing you with answers that can help you in finding the perfect fit and to ensure that you get the best care possible. If you're still not sure if you're pregnant, this self-test can help! 1. At what facilities do you have privileges? 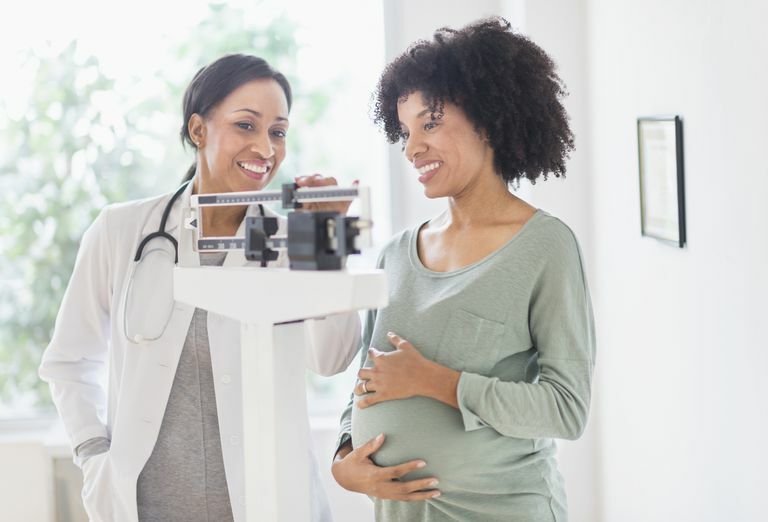 Be sure to interview each facility just as much as you interviewed your doctor or midwife prior to selecting them to help you during the birth of your baby. Ask each hospital lots of questions during your interview. 2. What tests or procedures do you normally recommend in pregnancy? Every practitioner probably has a slightly different offering of tests. From Amniocentesis to Stress tests, your midwife or doctor should explain each thoroughly to you. 3. What pregnancy books do you recommend I read? Your practitioner should have at least a few books to offer. Sometimes they are a part of a group that has written a book or their professional organization has a list of books to recommend. No matter what they say, here are my recommendations for pregnancy books. I love to read! 4. What do you recommend for normal pregnancy aches and pains? There are many common discomforts associated with pregnancy. Many of these can be eased without medications. Sometimes certain exercises or simple solutions can help before you need to resort to medications. 5. Who are your backup practitioners or partners? When might I see them? Can I meet them before the birth? Knowing the possibilities, even if remote, can make you feel more at ease. Don't hesitate to meet them even if just to say hello. Many women wind up surprised when their doctor or midwife is not the one who shows up at the birth. Minimize surprises on birth day! 6. Do you recommend any certain childbirth classes? There are lots of choices available to consumers when it comes to childbirth classes. Do you go to classes that your friends took? Should you take hospital-based classes? Find out what options are available in your community and who your practitioner or your friends recommend. If your practitioner does not recommend that you take a childbirth class, you make want to find out why because that may be a red flag. 7. Do you routinely use interventions in labor or do you wait to see if they are needed? Routine use of interventions in labor has not been shown to be beneficial. Each procedure or test has a place in labor and birth; when they are used will depend on your labor and birth, which you can't know beforehand what that will entail. Informed consent is a must for each intervention proposed. 8. At what point do you talk about the artificial induction of labor? Induction of labor is used when medically indicated that your baby is safer on the outside than on the inside. Unfortunately, social induction, or inducing labor with no medical reason has become popular. While there are many theories on why; be sure to talk to your practitioner about using induction wisely to protect you and your baby. 9. Which doulas have you worked with? Who would you recommend? Using a professional doula has been shown to decrease the rates of many interventions and increase overall satisfaction with your labor and birth. Doulas work with mothers who are seeking all kinds of births from planned cesareans to unmedicated births and everything in between. 10. What are your vaginal birth rates? For first-time moms? For moms who have had babies before? For moms who have had previous cesarean births? Ask questions about the likelihood of you having a normal birth. Ask early and often. Let your doctor or midwife know you're committed to having a normal birth. Be sure to ask specifically about vaginal birth after cesarean (VBAC) rates if you have had a previous c-section. While some of these questions may seem like they are not related to your care, they are related in a way that will help you get to know your practitioner and their office better. It can also help you be informed about what you need to know to make the best decisions for your baby. So ask these questions as you go through your prenatal care!